Main trailer added for movie “Saihate Restaurant” starring Jun Q (Korean idol group ‘Myname’) and Ryouta Murai. The film is written and directed by Keita Matsuda. Story for “Saihate Restaurant” is set at an unusual restaurant that serves only once to those that have just died and will be crossing over into the afterlife. 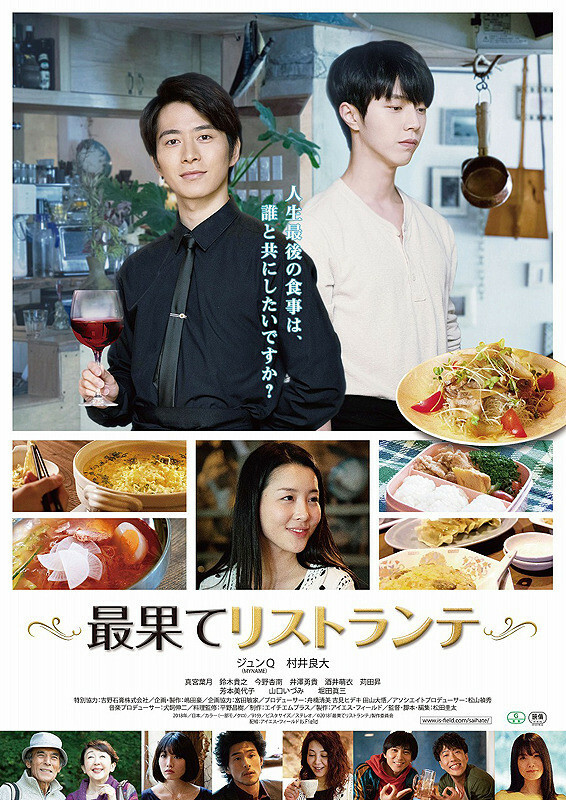 “Saihate Restaurant” will be released May 18, 2019. Main trailer and poster for movie “Portrait of Brothers” starring Shinichi Yanagisawa, Choei Takahashi and Takako Tsuchiya. Movie is scripted by Akito Inui and directed by Nobuhiro Nishikawa. The film follows two elderly brothers who begin living together. 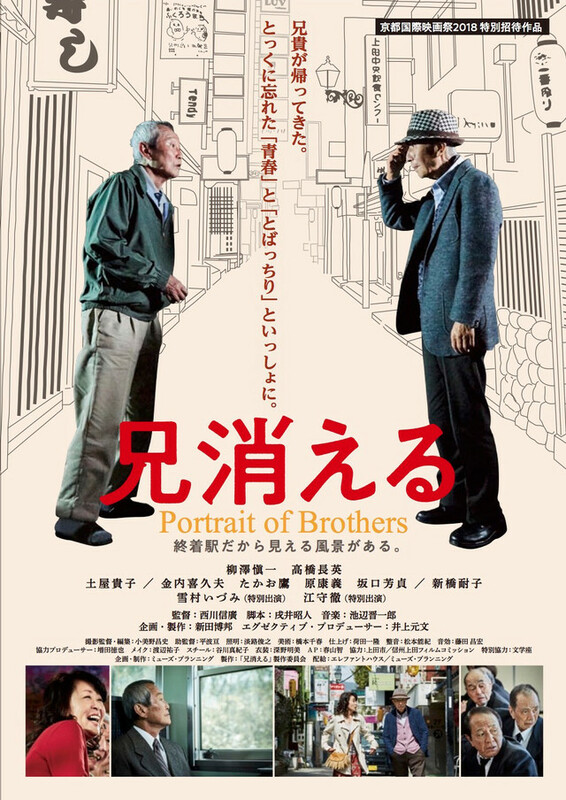 “Portrait of Brothers” will be released May 25, 2019 in Japan. Trailer #2 added for upcoming live-action film “The Fable” starring Junichi Okada and Fumino Kimura. Movie is based on manga series “The Fable” by Katsuhisa Minami and directed by Kan Eguchi. The movie’s theme song is also revealed in trailer #2 which is “Born This Way” by U.S. singer Lady Gaga. “The Fable” will be released June 21, 2019 in Japan. Poster and main trailer added for horror film “Sadako” starring Elaiza Ikeda, Takashi Tsukamoto and Hiroya Shimizu. The trailer also features the just announced movie theme song which is “Seisen” by Japanese rock band Queen Bee. The film is based on 2016 novel “Tide” by Koji Suzuki and directed by Hideo Nakata. “Sadako” will be unleashed May 24, 2019 in Japan. “Hikita-san! Gokainin Desuyo” will be released October, 2019 in Japan. Yudai Chiba & Ryo Narita are cast in sequel film “Stolen Identity 2” (working title). 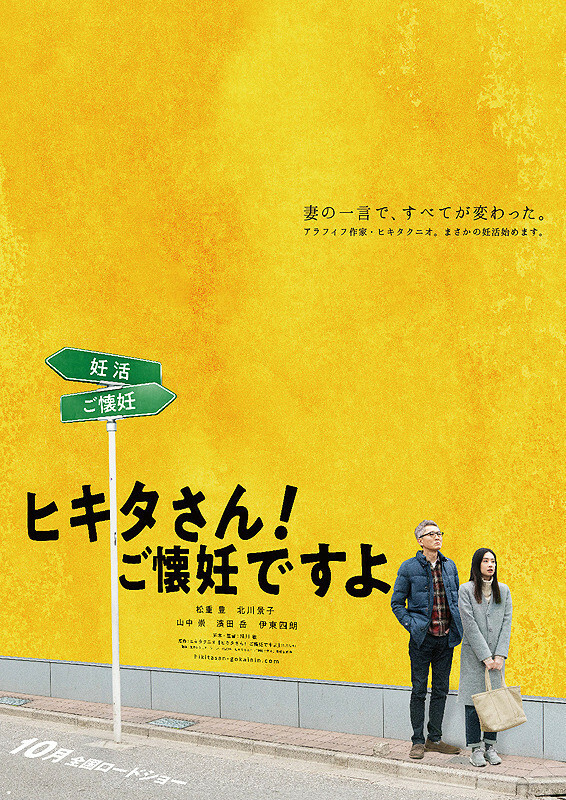 The film will be directed by Hideo Nakata again and the movie is based on novel “Sumaho o Otoshita dake nanoni: Toraware no Satsujinki” by Akira Shiga. 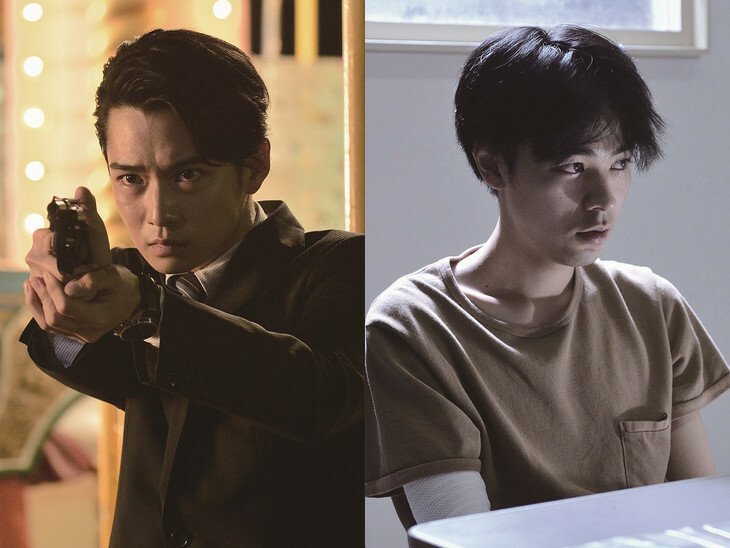 Yudai Chiba and Ryo Narita will reprise their roles from 2018 film “Stolen Identity.” In the sequel film, Yudai Chiba’s Manabu Kagaya investigates a new murder case. 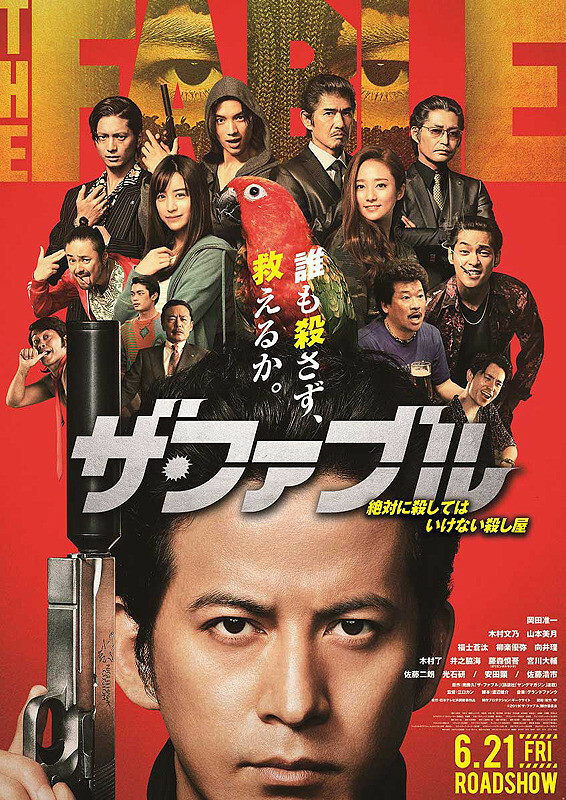 Meanwhile, an early teaser trailer for “Stolen Identity 2” is added on AsianWiki. “Stolen Identity 2” will be released sometime during 2020. Takumi Kitamura (‘Dish’), Nana Komatsu and Ryo Yoshizawa are cast in movie “Sakura.” The film is based on 2005 novel “Sakura” by Kanako Nishi (“Yellow Elephant“) and directed by Hitoshi Yazaki (“Strawberry Shortcakes“). In the film “Sakura,” Takumi Kitamura, Nana Komatsu and Ryo Yoshizawa will play siblings. A car accident that the oldest child (played by Ryo Yoshizawa) gets into causes major grief for the family. The title of the film “Sakura” refers to the family dog named Sakura. Filming for the movie will begin April, 2019 in Japan. “Sakura” will be released summer, 2020 in Japan. Trailer and poster for live-action film “Rose and Tulip” (literal title) starring Lee Joon-Ho (2PM) and Mitsuki Tanimura. Movie is based on manga series “Bara to Tsuripu” by Akiko Higashimura (“Princess Jellyfish“) and directed by Teruo Noguchi. Movie’s screenplay adaptation is written by Saeki Nejime who wrote the screenplay for 2007 film “Curling Love” which starred Korean actor Kim Seung-Woo and Japanese actress Kazue Fukiishi. The trailer for “Rose and Tulip” also contains the movie’s theme song which is “Nothing But You” by Lee Joon-Ho. 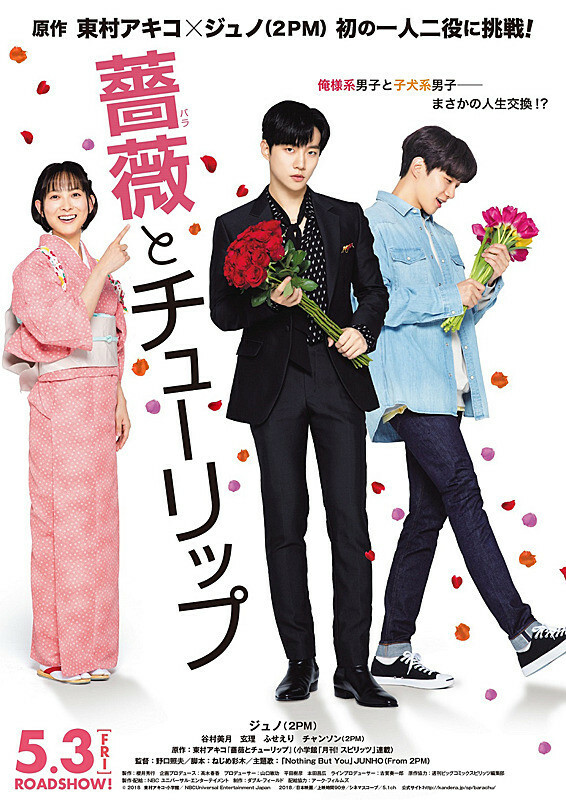 “Rose and Tulip” will be released May 3, 2019 in Japan. Takeru Satoh is cast in movie “Over Night” (literal title). Also cast in supporting roles are Ryohei Suzuki, Mayu Matsuoka and Yuko Tanaka. The film is scripted by Izumi Takahashi and directed by Kazuya Shiraishi. The duo previously worked together on movies “Lost Paradise in Tokyo,” “The Devil’s Path” and “Sunny / 32.” In the film “Over Night” Takeru Satoh will play Yuji. His older brother is Hiroki played by Ryohei Suzuki, sister Sonoko played by Mayu Matsuoka and mother Koharu played by Yuko Tanaka. A life altering case hit the family 15 years earlier and they meet again now for the first time since that case. “Over Night” will be released sometime this autumn in Japan.